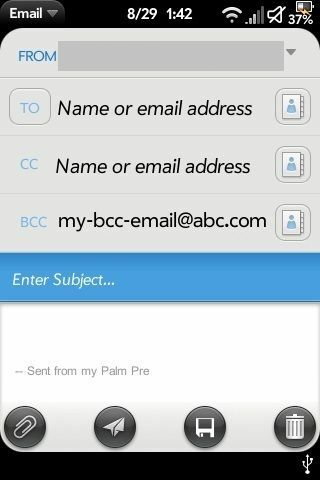 Allow input bcc email address in email account profile. The bcc address will be automatically added to outgoing email. Should now work for *all* languages. 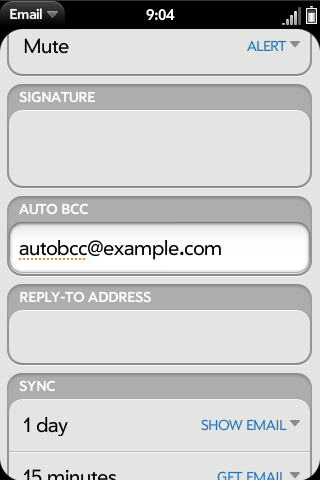 Note: The bcc address is only filled in of the account you start the e-mail from. If you change the account in header of the compose e-mail scene, the bcc address won't be changed.